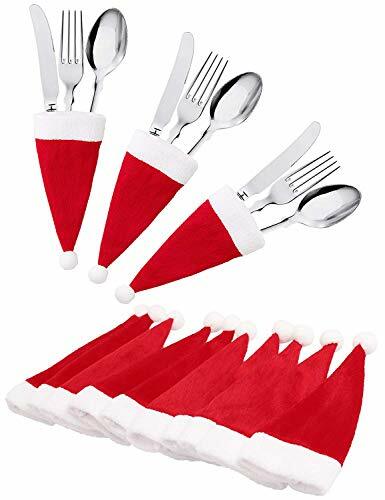 Check out this HOT deal on this jollylife 20Ct Christmas Santa Hats Silverware Holders – Xmas Party Dinner Table Decorations Supplies Priced at ONLY $10.99. Ships Free with Amazon Prime! Handmade item.Made of super-soft cloth, durable and with great hand feeling. Measurement – 3.3 * 7.3″.Enough space to place your silverware in when you are setting your table this Christmas. The Santa hats not only are great for a table decoration but they are the perfect size for so many more creative craft projects. Fun addition to your casual family Christmas dinner with the family.